Not sure where to start on that long list of improvements you’ve got for your business? Here’s a list of 12 things you can work on in the new year to improve operations, increase marketing, and grow your bottom line. Take one item each month and tackle it with your team. Create action items for how you’ll achieve each, and get the appropriate employees on board to help you. By this time next year, you’ll be amazed at what you have achieved. January: Update time and expense procedures with a goal of 100% compliance. The better you track your employees’ billable time spent on projects, as well as their expenses, the more streamlined your project accounting systems will be. February: Read your proposal template and take out any outdated information or verbiage. Make sure the focus is on your prospect, and not your company. Ensure you’ve got a cancellation policy that protects you, should a client want to end the agreement early. March: Automate your proposal process. Set up templates that can be used for different types of clients to make it easier to quickly turn out a proposal during the sales process. Use QuoteRoller’s customizable templates to get started. April: Increase the number of leads you get by marketing in more channels. Set up a blog to become known as an expert in your industry. Share links and tips through social media. Network with other professionals, including potential clients. May: Increase more repeat business from existing customers.This month, work on your customer relationship procedures and work to include more one-on-one communications to build trust with your customers. June: Try a new type of marketing. If you haven’t tried social media, set up a Twitter and Facebook account for your company. July: Improve your project closeout process. Make sure all aspects of the project are appropriately documented for future reference. August: Take a look at what past projects teach you. If you look back at projects you’ve worked on, you should be able to learn things that will make you more successful going forward. Look at what worked well, and what didn’t, and make a list of areas for improvement. September: Start using the cloud. If you’re not already storing documents and files on a cloud-based server, look at your options this month. October: Make a marketing plan for the holidays. Now is the time to determine what strategies you will use to sell more products or services at the end of the year. November: Update your business and marketing plan for next year. Look at last year’s draft and make changes as appropriate. Assign tasks to help you meet each of your goals. December: Reassess your budget for next year to ensure you’re spending money where it’s needed. Look to cut costs on unnecessary items, such as a land line (use cell phones or Skype). 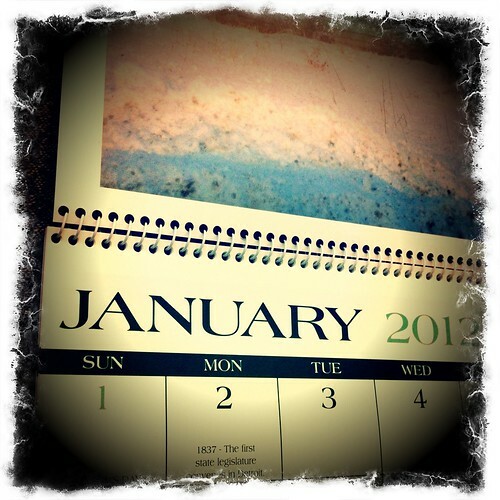 Get smart and use tools that will make you more successful in 2012. QuoteRoller’s free proposal software makes the selling process easy. Try it now.